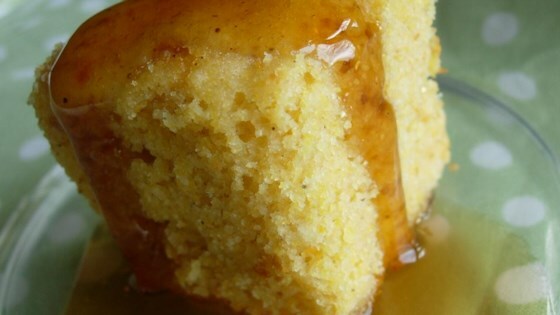 "If you like sweet cornbread, this is the recipe for you! My mom made this for me as a child, and now it's my family's favorite." The only bad thing I'd say about this is that it crumbled to easily, and it was really messy. Awesome cornbread! I used melted butter instead of oil and lowfat buttermilk vs. milk. It was light, fluffy and went great with ribs and the left overs were great for breakfast. After reading some of the previous reviews, I cut the sugar to 1/2 cup and the baking powder to 2 tsp. The muffins baked well and tasted good... not extraordinary... but good.